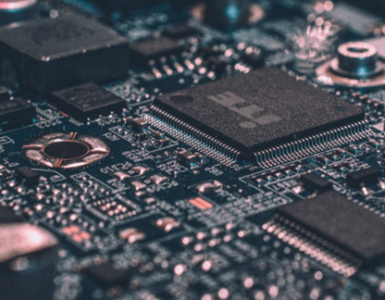 Whenever someone starts his or her first LCA study, one of the questions to be answered is, which of the available LCIA methods should be used? There is no distinct answer to the “should” but according to a survey performed during July 2018, some are more popular than others. We were curious, which Impact Assessment Methods and which Interpretation Methods are used more frequently. In order to answer these questions, social media and expert-lists were used to spread the survey. In a nutshell, throughout various branches, LCA experts mainly use ReCiPe, IPCC 2013, ILCD 2011, CML 2012 to conduct Life Cycle Impact Assessment. For the interpretation step, sensitivity and scenario analysis are most popular. 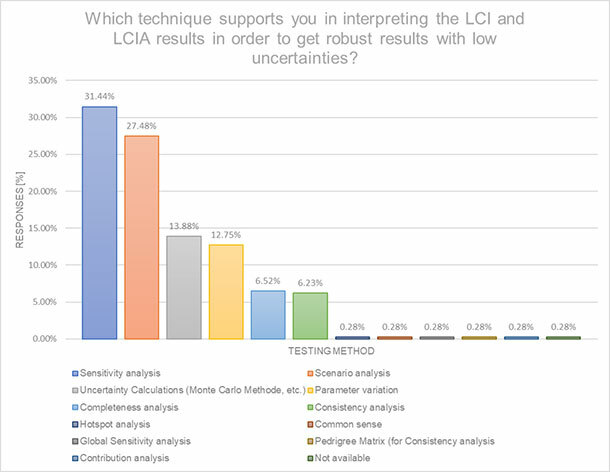 Which LCIA Methods are the most popular? As the application of Life Cycle Assessment has seen quite some evolution over the last 30 years we were interested in getting a current picture. We focused on two main issues: which Impact Assessment Methods and which interpretation methods currently are most popular. The survey link was shared on the social media platform LinkedIn within English-language topic groups dealing with “Life Cycle Assessment” in the narrower sense and sustainability reporting in the broader sense. Invitations were also sent via the LCA discussion mailing list, offered as a free service by PRé Consultants. The collection period was open for 20 days. This resulted in a total of 147 responding participants. The survey achieved an average completion rate of 100 percent. Two responses could not be evaluated, because the reply details were not clear. From Europe 98 persons participated (most of them from Germany, Italy and Great Britain), 18 responses came from North America, 10 from South America, 12 from Asia, 1 from Africa (Ghana) and 5 from Oceania (Australia, New Zealand). The share is visualized in the first figure. The majority (65.3%) of the participants work once a week or more frequently with Life Cycle Assessments or prepare it. 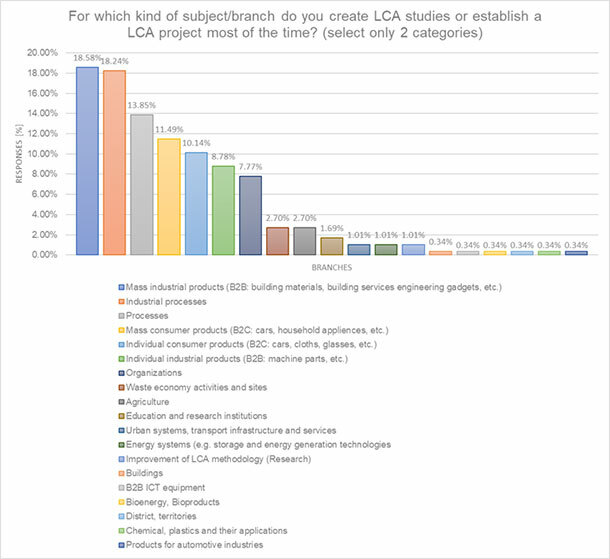 More than 18% of the participants are involved in LCA studies on a monthly basis. 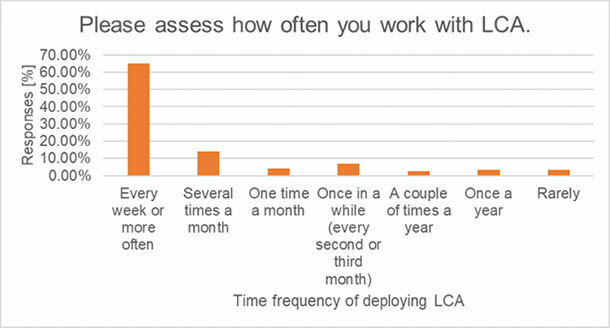 About 10 % work with LCA every second or third month and only 10 people (altogether approx. 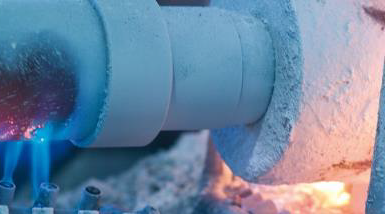 7%) prepare Life Cycle Assessments once a year or less frequently. This is shown by the chart in the following picture. Another introductory question showed, for which sectors or objects of investigation Life Cycle Assessments are most frequently drawn up: industrial mass products and industrial processes are first with a total of 37%, followed by (general) processes, consumer goods (B2C) and individual consumer goods (B2C). Various sectors follow; organizations, waste management and agricultural systems are often the subject as well, as visualized in the next figure. 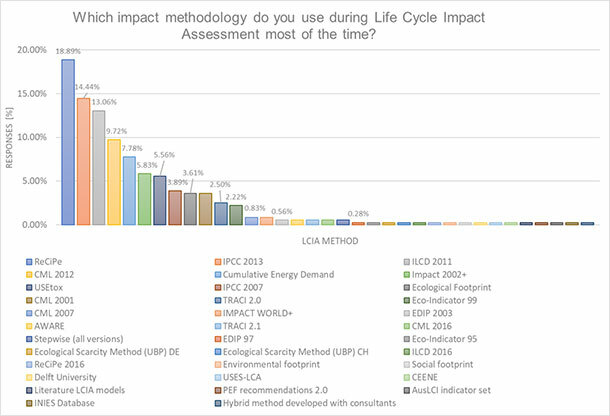 In the central question “Which methodology do you use during Life Cycle Impact Assessment most of the time?” it could be determined that the majority of 145 participants use mainly the methods ReCiPe, IPCC 2013, ILCD 2011, CML 2012, Cumulative energy demand. Impact 2002+, USEtox, Ecological Footprint, IPCC 2007 and CML 2001 are used from approx. 4 – 8% of participants as support for life cycle impact assessment (in descending order). Also, other LCIA sets were selected, as shown in the next figure. The question on the methods used for interpretation showed, that sensitivity and scenario analysis are far ahead of the uncertainty calculations and parameter variations that are nevertheless frequently used. The least used are completeness and consistency analysis. Hotspot, contribution and global sensitivity analysis as well as the pedigree matrix and common sense were each mentioned once in the optional answer field. The results of the fifth and last question are depicted in the next figure. 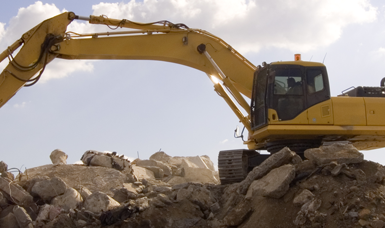 What makes an impact assessment method popular? The geographical share indicates a European perspective dominating the results. It would be interesting to get to know habits of outside Europe. We would appreciate any comment from any expert from around the globe on whether the results can be proved, or he/she has another perception. This study was established by Anne Wahl during the analyses for her Master of Science degree in Environmental Management. The findings are considered for the on-going developments of iPoint’s LCA solutions Live LCA and Umberto. We are very grateful for the participation of the life cycle community who made it a successful survey. Thank you! Thank you very much for this very interesting study. My first comment concerns the argument for LCIA method choice of having a “cumulative energy demand” indicator, which is always put forward by stroke practitioners, which is in my opinion an aberration. Indeed, in the spirit of modern LCA, energy is more an inventory data than an environmental indicator! (the impacts associated with 1 MJ of coal energy have nothing to do with those of 1 MJ of photovoltaic! despite both are 1MJ). My second comment is the question “does method allows or not a coherent aggregation in end-points indicators” is not addressed in the study whereas it is for me an important element of choice for example to understand issues such as water-energy nexus (that may also explain the success of Receipe).